For over a decade both girls and boys have been enjoying the thrills and life lessons experienced through the South African Scouting Movement. In light of Women’s Day SCOUTS South Africa wanted to shine the torch on some of the remarkable women that are active our country. Nkululeko ‘Nkulu’ Mabuza is 22 years old and lives in Tzaneen in the Limpopo Province with her mom and younger sister. She is currently working as a social worker for ‘Keep The Dream’, a local NGO’s that strives to assist children to overcome difficult life circumstances by empowering them through the provision of skills and inner strength so they are able to realize their full potential and contribute to the growth of South Africa. 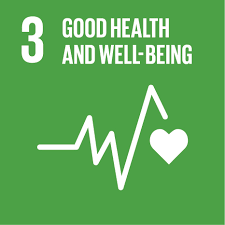 ‘Keep The Dream’ has incorporated Scouting into its programming and uses the Scout Promise, Laws and programme to uplift and educate the children and youths in their care. 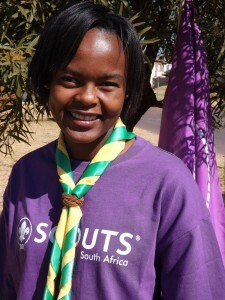 Nkulu was born in the Shiluvane village and joined Scouting at the age of 11 when her mom started the first Scout Troop in Tzaneen. “Initially I was hesitant and didn’t really see the point, but soon I realized how much fun Scouting is and how many new friends I was making. I remember the very first camp I went on I was terrified! I had never camped before, I didn’t know the girls I was sharing a tent with and the first night I was so scared. However, by the second night I didn’t want to go home. And that is what Scouting is about. It teaches you how to adapt to certain situations, how to make friends and above all how to cope and manage in any situation you find yourself in. You actually learn to be a chameleon”, she reminisces. To join SCOUTS South Africa go to www.scouts.org.za -> ‘Scouts near you’ or in Limpopo contact ‘Keep The Dream’ on 0732742080.